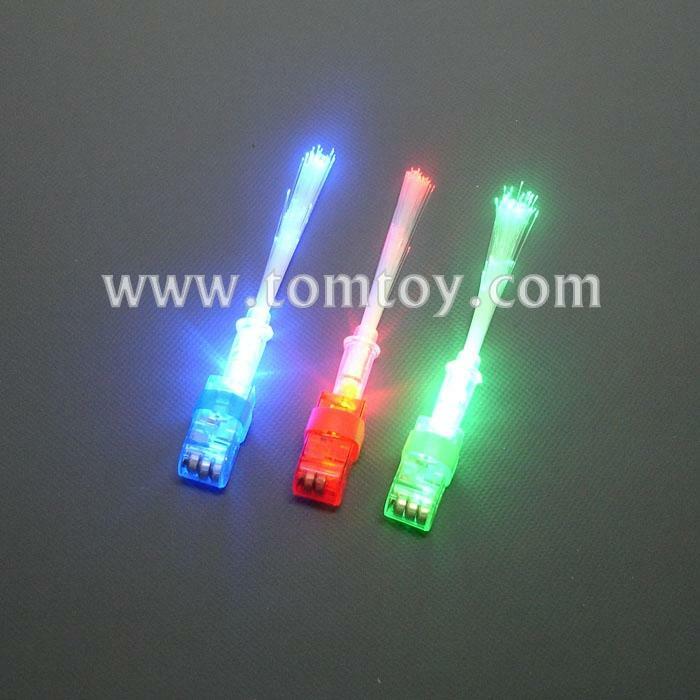 1.Light up your night with Tomtoy Flashing Finger LED Optical Fiber Lights , comes with 3 colors - red,blue and green. 2.Flashing Optical fiber includes non-replaceable batteries on each finger lights. 3.Great for rave, disco, carnival or even at your birthday party. 4.Featuring easy to wear elastic finger strap for strong hold at your finger and fits well on kids to adult. 5.Fiber optic attachment creates an amazing light effect provides more excitement and fun to any occasion.